‘If I were asked to say what is at once the most important production of art and the thing most to be longed for, I should answer - a beautiful house.’- William Morris. Morris believed that everybody has the right to a beautiful house, and also that the objects within it should be beautiful. Peacocks & Dragons by Nicola was inspired by the fabric adorning an armchair at Kelmscott Manor which featured peacocks and dragons. 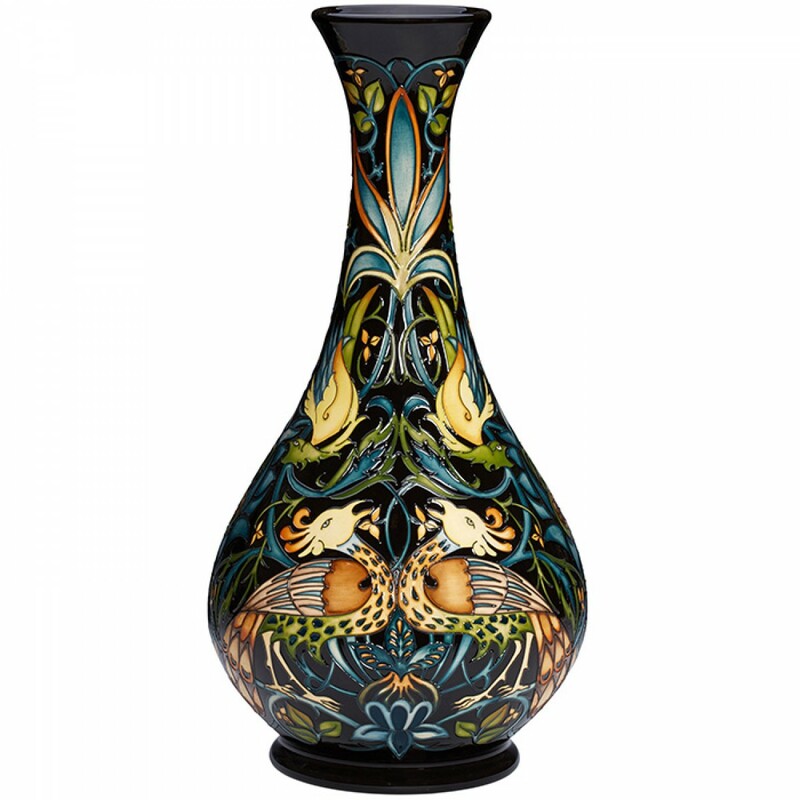 Her creation transports the incredible, interwoven detail of a Kelmscott fabric with symmetrical ribbons of foliage and mythical beasts so it comes alive into the world of Moorcroft pottery.